1.Preheat oven to 425°. Line rimmed baking pan with parchment paper. 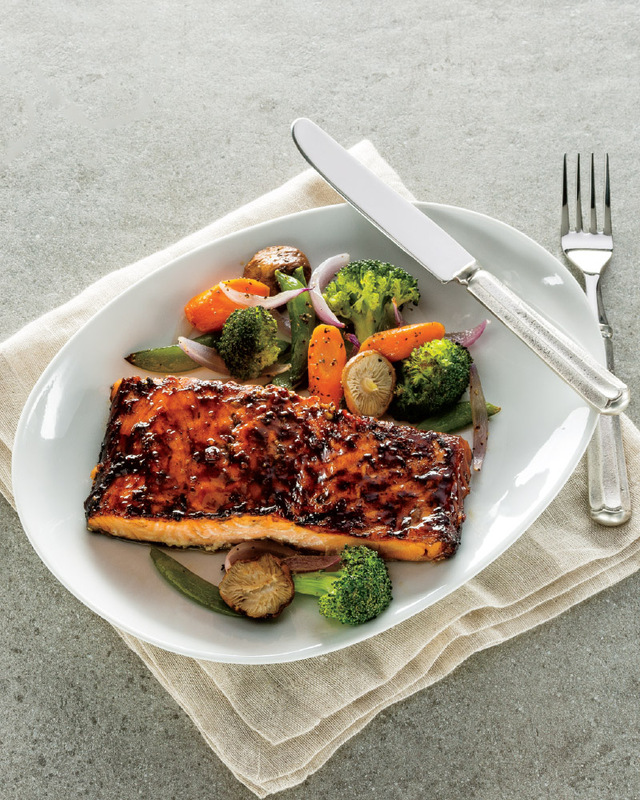 4.Roast salmon and vegetables 10 minutes longer or until internal temperature of salmon reaches 145° and vegetables are crisp-tender. > Try serving this meal with a whole grain, like quinoa or brown rice. Find a frozen, steamable whole grain brown rice bag by Bird’s Eye in your Martin’s frozen department. Have a cooked whole grain ready to serve in less than 5 minutes!